Established by congress in early 1865, the Bureau of Refugees, Freedmen, and Abandoned Lands-more commonly known as "the Freedmen's Bureau"-assumed the Herculean task of overseeing the transition from slavery to freedom in the post-Civil War South. 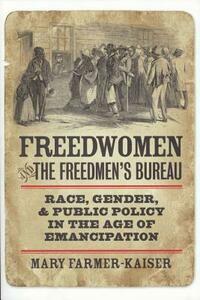 Although it was called the Freedmen's Bureau, the agency profoundly affected African-American women. Until now remarkably little has been written about the relationship between black women and this federal government agency. 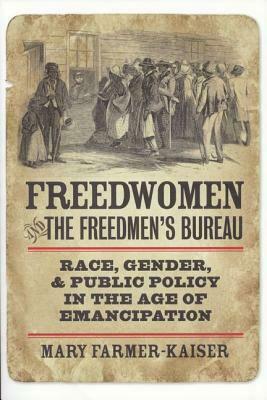 As Mary Farmer-Kaiser clearly demonstrates in this revealing work, by failing to recognize freedwomen as active agents of change and overlooking the gendered assumptions at work in Bureau efforts, scholars have ultimately failed to understand fully the Bureau's relationships with freedwomen, freedmen, and black communities in this pivotal era of American history.